Celezbrities Out and About: Wanda Sykes (@iamwandasykes) starring in Fast and the Furious 13? 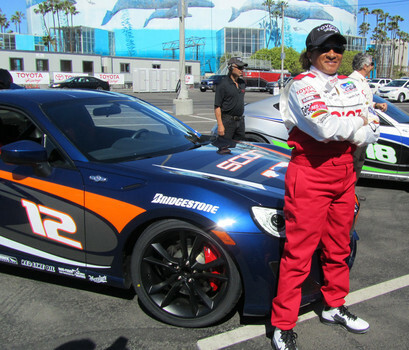 Wanda joined other celebrities for the 37th annual Toyota Grand Prix celebrity race this past weekend. Each year during the Toyota Grand Prix of Long Beach,Toyota hosts a celebrity race alongside the real racing for a good cause. This year, the event will raise more than $100,000 for “Racing for Kids,” a national organization that benefits children’s hospitals in Southern California, and create $20,000 for other charities.